The course was very useful and entirely practically oriented. This was a great workshop. Really well organized, great materials and outstanding teachers who presented the subject matter with clarity. 1) I think both the lecturers were highly dedicated and very knowledgeable. 2) The course content was also very well documented. 3) All were very helpful and responsive to queries. 4) I think R and terminal commands were explained in a very efficient manner. 5) Lunch was well-organized. 1) The workshop was very fast paced from the beginner's point of view and packed with content. It would be ideal to either split it into two 4-day workshops or conduct a two-week course. 2) At times, some of the classes went on and on for 2.5 hours at a stretch. It doesn't make any sense for a candidate who has come to learn because one loses concentration after 40 min. 3) Please provide scripts in a R or txt file to students. Very helpful from the practical point of view, clear explanation of every issue, experienced trainers that answered all my questions, great place, I loved it! Very good workshop. The first two days contained information that I heard before, but it was really nice to hear it again, because it made me understand it better (Illumna, quality control). The last two days contained new information, like methylation calling and making plots, which is also very useful for my project. The workshop is intense, but the level and speed were just right. I would recommend new participants to gain a little bit of experience with Linux before attending the workshop. The Workshop was very well designed. The description on the webpage was very good concurring with the content of the workshop and requirenments to the participants. As I did work through the Linux tutorial before, the first day was a bit boring for me, but a good practice at all. The second and third day I learned a lot of things. As I did not work with RNA-Seq before, the last day contained a bit a lot Information. The practical parts I could follow easily and the time was quite right so solve the tasks. The amount of paricipants felt ok. Very satisfied though very condensed and intense course for a starter like me. Basic knowledge is recommended. One of the best workshops I ever attended. The organization was just great. The small excercises during the workshop were quite useful to internalize the contents. It was fairly easy to follow even if one has not worked with linux before. I would strongly recommend the workshop! Great experience, helpful and approachable instructors, interesting and well organized workshop. This course provided necessary training in NGS that can be used in research projects. Personally, being in the early stages of my undergraduate studies in Molecular Biology and Genetics this workshop really inspired me and expanded my horizons. More specifically, by meeting participants from all around the world who are involved in various fields of science, attending talks from external guest speakers who described their career path and getting to know the instructors of the course who were full of enthusiasm about Bioinformatics, I realized the interconnection between the scientific fields and the different professional options that I could potentially be involved with in the future. An overall comprehensive and effective overview of the RNA-seq pipeline, from sample-prep considerations to high-level analysis and visualization. I personally enjoyed the full course and it makes me very confident to do my future NGS analysis though I don't have a bioinformatics background. Everything was well organized and executed in a most efficient way for the participants. Simply, I can say that this course will make you gain confidence and extensive knowledge in the field of NGS bioinformatics. I loved it!! This was a great workshop about different aspects of NGS data analysis focussing on putting analysis into practise. Motivated trainers with different expertises guided through the course excercises and in addition invited speakers gave a good idea about what NGS data might be useful for in different fields. Having some basic programming knowledge is certainly an advantage for following the practical parts. The workshop was excellent. Speakers were very knowledgeable, ready and able to answer questions at all times. Great working material, with the workbook and the USB stick one can easily reproduce all the tasks. Intensiver Kurs, extrem an Wissen gewonnen. Kompetente und motivierende "Trainer" und ein toller Gesamtüberblick. Das Kursbuch und besonders der LiveSystem USB-Stick sind super Toll und ermöglichen das weitere Üben, intensivieren des Gelernten. This 'crash' course is a perfect course for quick guidance through analysis of RNA-seq and NGS analysis in general. Impressive how much new knowledge you can acquire in only 4 days! I really enjoyed the course. It fulfilled my needs and definitely improved my understanding in bioinformatic tools and linux. Gaps I had are covered now. Compared to other courses I went to, in my opinion this is one of courses you are able to get started afterwards. All instructors are very kind and helpful :-). 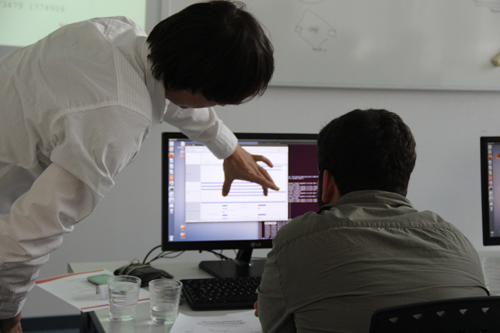 It was really great performed training, prepared by experts in the field of bioinformatics. The course gave me opportunity to play with data from RNA and DNA sequencing by myself. Now I can't wait for my own results to analyze it. Excellent workshop! Very well taken care of!! Great fun!!! Learned a lot!!!! and met very nice people!!!! After five days of smooth scrolling over a meticulous and interactive program one gets a good grasp of the intricancies of NGS data analysis. Many thanks! Thanks to the very well designed and practical summer School for NGS data Analysis in Berlin I could find my feet and build up my mind in the early phase of my PhD project. I was looking for such course for a while and barely could find this opportunity to paractice NGS data analysis for both DNA and RNA approaches , having responseful mentors beside and a proper workstation available. I am very happy that I got this chance with ecSeq people. This workshop was exactly what I was looking for - using publicly available software, comparing different tools and showing the whole process of data analysis. And I very much appreciate the idea of performing everything on the usb stick so that we can take everything we've done home and practice by ourselves. It was one of the best introductory course I have had on the subject. The trainers go in to details of each and every nitty gritty of various topics. Also the exercises are designed very professionally and with clear learning objectives in mind. Finally, I learnt a lot many things during the discussions that are entertained very well by the trainers during the entire course. Workshop is very useful for people without experience in bioinformatics to get basic understanding of NGS data analysis, and for those with some experience to improve their knowledge. Trainers are excellent. After this workshop, I feel much more confident of my own bioinformatics skills. I can now dive into more specialized areas of bioinformatics, as I have a good basic knowledge of how everything works. Being a novice to NGS data analysis this workshop was eye opening and made me confident in starting my own analyses. The course was very informative and well organized. Everything was clearly explained and very helpful for beginners! I was particularly impressed with the emphasis on teaching us how to THINK about our analyses, rather than just follow a series of commands. Your focus on anticipating potential sources of error, never blindly trusting that a command or piece of software has done what you think it's done without confirming (as well as teaching us ways to confirm) left us with a skill set that is independent of a particular pipeline, and will serve us well as our interests (and the available software) change. The active exercises were clearly designed extraordinarily carefully and were really effective not just in applying what we'd just learned, but in seeing how you might fall into an analysis/interpretation trap if you are not careful. This really was a mindset/philosophy of analysis training as much as it was practical training, and I value that enormously. Thank you! 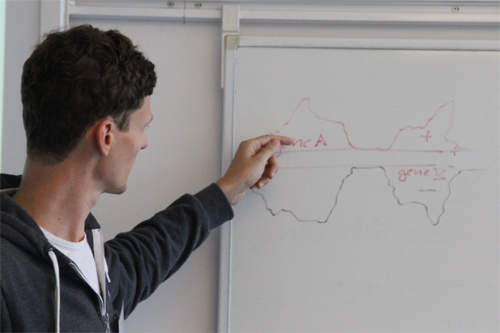 The course was designed for people starting their work with RNA-Seq and was very well prepared and led. The information is provided in a clear and accessible manner and, most importantly, from a practical point of view. 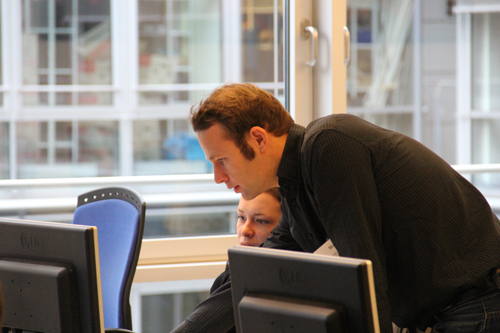 The trainers have extensive experience and provide valuable insights into the real problems arising from data analysis. I am happy to have had opportunity to attend these workshops. The knowledge and skills acquired during the workshops will be of great help in planning my own experiments and will enable me to start analyze the data on my own. I definately recommend these workshops to anyone planning RNA-seq experiments. The workshop was really informative and conveyed a realistic overview of current RNA-Seq analysis. I particularly liked the emphasis on taking into account the experimental conditions and the goal of the study. The workshop was well suited for beginners like me and was very relevant for my work. I think that what I learned will really help me to speed up analyses in the future. Very good week of course, very useful for future\ work on DNA methylation sequencing analysis. ecSeq team pays a great attention to equip you to be on your own once back alone in your lab. They are recognised experts of the field and share not only their expertise but also their experience and views. Very valuable. As someone who was previously terrified of the command line, this was a terrific course to build confidence in navigating the terminal. Moreover, I walked away with a much deeper understanding of sequencing chemistry and the relative merits of different software packages for analysing different types of sequencing data. I highly recommend this course for any wet lab biologist whether at the student, postdoc, or PI level! The organisation of the Summer School was excellent. There are too many things to consider when using NGS technology. I really needed a course like this to get started with a proper analysis of my own data. This was a very intensive course, which gave tremendous help to anyone trying to work with NGS data. Difficult concepts were very effectively simplified and explained. Should be a great help in anyone interested in NGS. The ecSeq workshop on "Next-Generation Sequencing Data Analysis" was very informative. I have no doubt that I acquired new skills, thus, extended my knowledge of analyzing the big data. I am integrating most of these in my current research analyses. Thank you ecSeq Bioinformatics Team! This ECSEQ course provided a very good 3- day intensive workshop on NGS, Analysis, and BASH to give anyone working with genetic material a good foundation to expand their research project in a number of cutting edge directions. The instructors are warm and knowledgeable and eager to help anyone sincerely interested in learning these techniques. A Beginner's Guide to RNA-Seq Data Analysis is an excellent workshop which provided me with the basic knowledge to start exploring RNA sequence data analysis and allowed me to address new questions. It includes an important component on very practical exercises, and the hands off material as well as the TI's and speakers are top quality. I highly recommend this workshop! It was an excellent workshop. Thoroughly enjoyed the experience. It was very informative and the tutors were extremely helpful. Since just having a little experience in analyzing RNA-Seq data, my knowledge about the unix environment, mapping tools and downstream analyses improved a lot during the workshop. With the help of the provided workshop materials it was quite easy to follow the excellent speakers. Several exercises supported the learning process as well. To go from an introduction to methylation to the complete analysis of a published dataset in 3 days is an ambitious target and I am delighted that is was so comprehensively achieved. The mix between theory and practical work is very balanced. I highly recommend this course for a strong foundation in the latest methylation analysis methods. The course leaders are experts and so helpful, and to take the operating system, data and commands home at the end of the conference is a huge benefit. Good resume of the last technologies and applications. Definitly will improve the comunication with our bioinformatics colleagues for perfom the proper analysis and understanding of the data. Thanks for an intensive but nice course. Excellently prepared and performed workshop (from both organizing teams). A lot of information provided. The ECSEQ RNA analysis course is one of the best courses. All the trainers were awesome. Many thanks to all of you. Very good course, perfect for my needs. Thanks a lot for a very interesting course that significantly improved my knowledge on NGS data analysis. The workshop provided a great introduction into the analysis of NGS data for me as a wet lab biologist. The one day introduction into Linux was an absolute asset. Thanks to the course, I now feel comfortable both to discuss my NGS analysis needs with a bioinformatician more competently, but also to take first steps in NGS analyses myself. As a wet lab biologist, I have been dabbling in analysing my RNA-seq data myself. This course gave me a lot of context about mapping and differential expression software that I hadn't been able to grasp on my own. This knowledge will certainly improve the quality of my analyses. Additionally, I learned a lot of handy Linux commands and tricks that make my life a lot easier. Very good course, thanks for that. Very efficient training in the basics of dealing with one of the most quickly evolving technologies we have. Several times a year, we organize introductory and advanced courses on selected topics in next-generation sequencing data analysis. 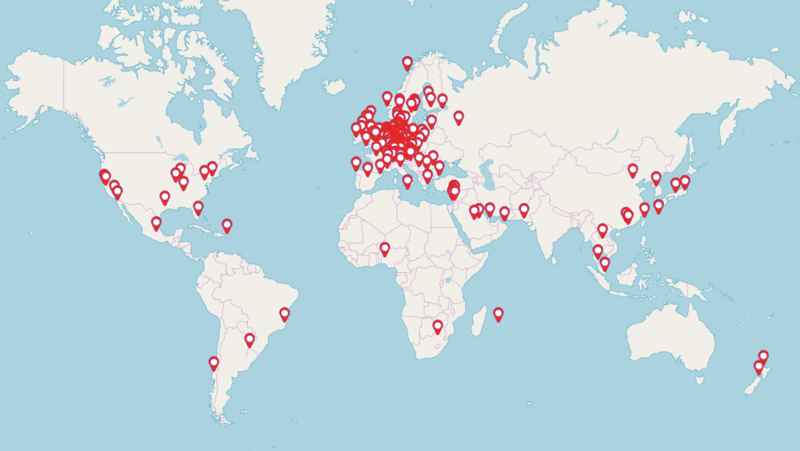 They take place in cities across Europe and draw participants from all over the world (see map below). Please find additional verified reviews on our Google Business page.